Our extensometers can be used to measure levels in existing silos, tanks or containers, without modification of their structure. Extensometers measure strain variations on silo supports. This variation is proportional to the quantity of product in the silo and is not subject to the influence of the unloading angle or the formation of air pockets. 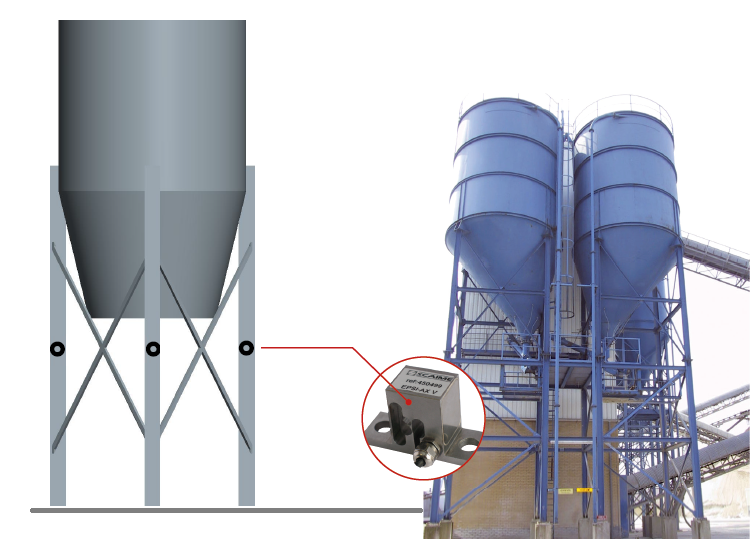 Easily and quickly installed on the structure of the silo without modifying it, this economical system offers an excellent alternative to traditional level-measuring systems.